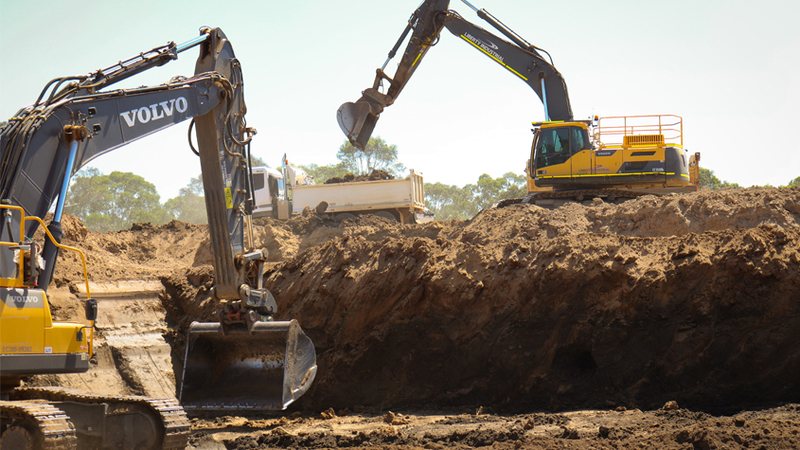 The project involved the removal of identified contaminated soils from site to an offsite disposal location and the stockpiling of useable, non-contaminated material to specific locations on site to assist Lend Lease in subsequent land development packages. Contaminated material removed from the site included bonded and friable asbestos soils, PCBs, PAHs, Lead and other contaminants. Works also included the establishment of construction site facilities and management of site security and environmental controls. The project was required to adhere to strict time frames. All contaminated materials (in excess of 15,000 tonnes of material) were required to be removed before the Christmas shut down period. Liberty Industrial successfully achieved this milestone and received high client satisfaction for our compliance to the Lend Lease Global Minimum Requirements safety standards. 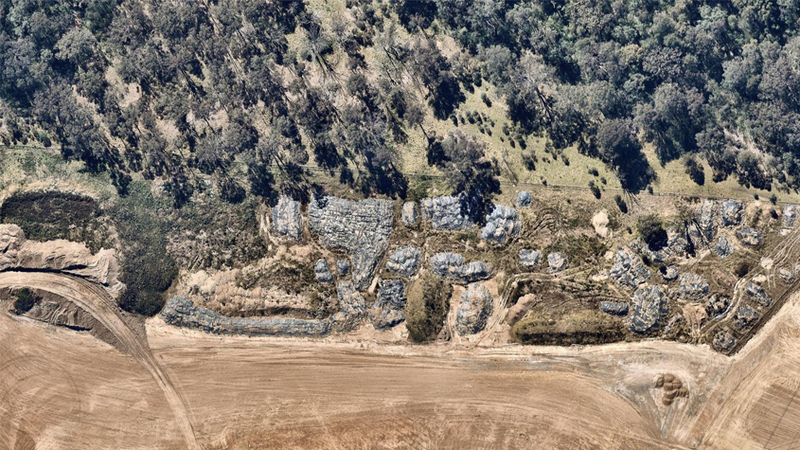 In addition to the offsite disposal of impacted material, Liberty Industrial was required to relocate a 75,000m3 stockpile to accommodate future development works in the area. 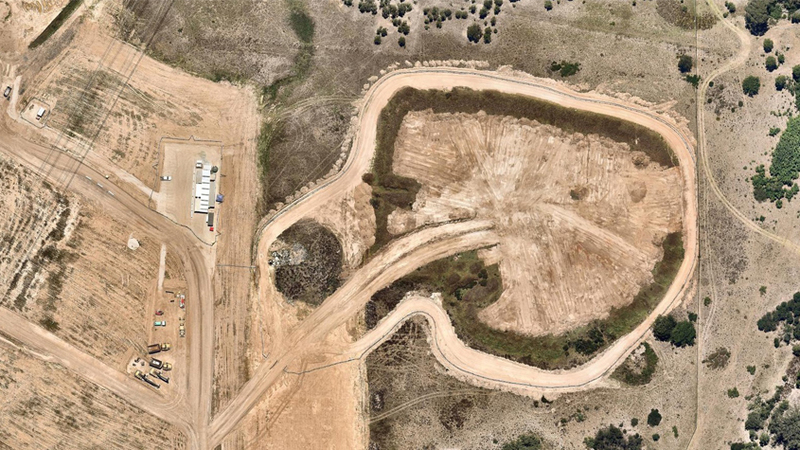 Liberty Industrial was requested by the client to accelerate these works due to impending internal road closures. 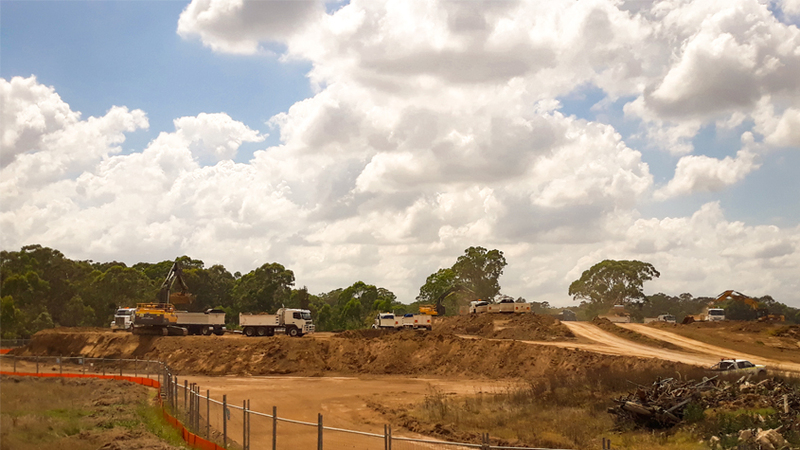 Liberty Industrial developed and implemented a haul road and loading strategy that involved four 36 tonne excavators loading twenty truck and dogs concurrently from the same stockpile whilst adhering to strict traffic control protocols. This strategy realised productivity in excess of three hundred Truck and Dog loads per day equivalent to 6,600m3 cubic metres per day. This acceleration resulted in saving of twelve days from the original program and the stockpile movement was completed within the specified duration to allow the subsequent road closure. 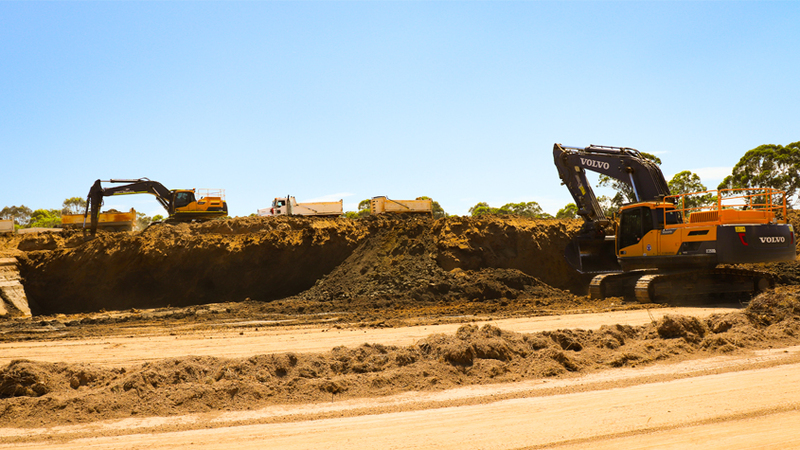 As works progressed, Liberty Industrial was awarded a number of significant variations to the contract including the remulching of 27000m3 of stockpiled mulch. 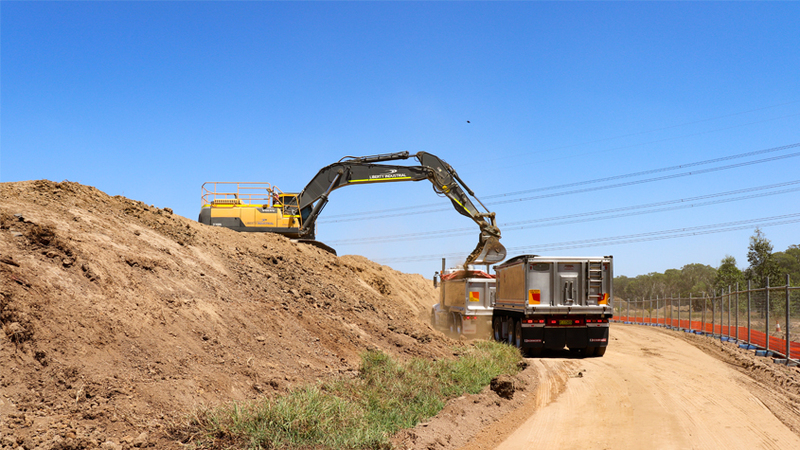 The removal of approximately 2km of asphalt roadway and subsequent UXO investigation works, as well as stockpile pad preparation by compaction of existing stockpiled material under Level 1 geotechnical supervision. 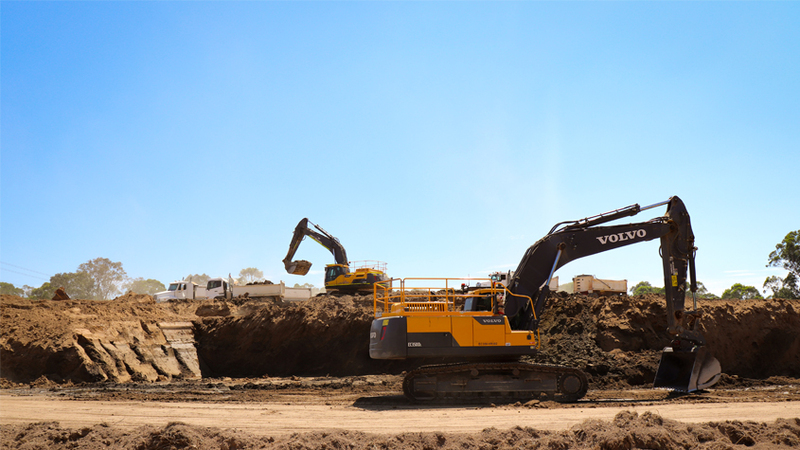 These works include compaction of the base and preparation of a new sediment basin and other site environmental controls. Subsequent to these works and closure of the main internal haul road, Liberty Industrial was awarded a new contract for the demolition of two concrete span bridges. Both bridges were required to be demolished over sensitive waterways with a 250 tonne all terrain crane utilised to remove the centre span on each bridge. The larger of the two was a 100m long bridge with five 20m spans and a total of 1500 tonnes of concrete including large 10m high pylons and headstocks. These additional works were awarded on a sole source basis due the high standards of project delivery that Liberty Industrial demonstrated on the original contract works.